This week I've been trying so hard to be on a heath kick and try to get my body back into shape. I'm going to be starting back with my workouts, healthy eating and something new, yoga! Personally I really want to get back in shape so I can model again. It's so important to make connections in the fashion industry and with working with designers side by side while modeling I'll get an instant in. So when I'm out of college and looking for a job to start out I can work with them, hopefully! 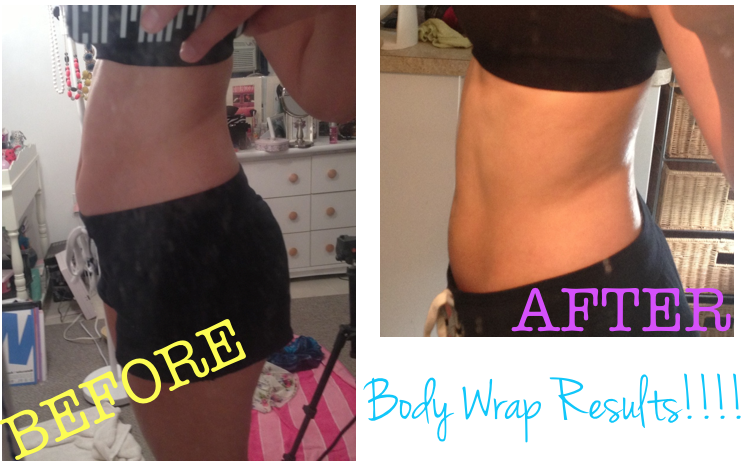 I was looking through Pinterest the other day I came across a pin called body wraps. I know from watching Red Carpet reports that celebrities do body wraps before premiers to get rid of excess body weight/water. I figured I try it out! This was very wallet friendly and I had everything in my house already! -lotion (it's said to use one with ingredient from the ocean. So things like kelp, seaweed is a big one, and mud) I used one from The Body Shop! I love their products because they are paraben free! All natural! So your taking away bad toxins in your body and still are by using an all natural lotion. Gently rub lotion on your "problem area". Today's target...the stomach. Don't rub it in all the way!!! Wrap the plastic wrap around your body. Don't wrap it tight!!! You wont be able to breath if you do that! Wrap the ace bandage around your body. You want to make sure you wrap it tight enough for it to stay but loose enough to breath!!!! Alright! Now your ready to go to sleep!! In the morning unwrap yourself and see the results!!! You have to remember that your body nautally releases unwanted gasses from your body when your asleep so that helps as well! Here are my results! I did it two days in a row to see if it made a difference! has anyone tried this and seen their own results?